The Fiction Freelancing series presents the individual experiences of editorial freelancers working on fiction within both the publishing sector and the independent-author market. ​The Parlour’s Work Choices feature has proved tremendously popular with editors and proofreaders looking for insights into working in various genres and specialist academic/professional fields. This time round we’re looking at editing genre fiction, and sharing his wisdom is my colleague Marcus Trower. Louise Harnby: Welcome to the Proofreader’s Parlour, Marcus, and thanks for taking the time to explore the field of genre fiction with us. So to start off, and for the benefit of those who are new to the field and unsure of the terminology, can you tell us what the term “genre fiction” means. Marcus Trower: Thanks for having me, Louise. The border between literary fiction and genre fiction can be a little blurred at times, but basically we’re talking about crime fiction, thrillers, sci-fi, romance, fantasy – that type of book – and the many sub-genres within those genres. ​Another term for genre fiction is “commercial fiction”. We’re talking plot-driven novels with an emphasis on entertaining the reader. That’s not to say that they can’t deal with big issues. They tend to be books that aren't say, experimental in form, however. These are novels in which, if there’s an unreliable narrator, it’s likely to be in the sense that he or she is someone who can’t be trusted to meet another character at a place and time they've agreed. And should you encounter navel-gazing in a work of genre fiction, it will be during a scene in which a character is admiring the midsection of his or her love interest rather than a passage in which the author, thinly disguised as the narrator, likens his life to a Buñuel film. LH: I’d like to hear more about your specialty areas. Can you tell us a bit about the editing work you’ve completed? Which particular subgenres most excite you from the point of view of an editor, a reader, and a writer? MT: I specialize in working with authors of genre fiction, and within that field, I would say 75 per cent of the total number of books I work on are either mysteries or thrillers, so crime is very much my specialism. The other 25 per cent tends to consist of sci-fi, romance, the odd translation, and the odd zombie story set in medieval England – I’m thinking of The Scourge, by Roberto Calas, which I edited recently. I have a specialism within a specialism, too: mysteries and thrillers with a Spanish language component tend to come my way, since I lived in Spain for a couple of years, and I know my way around the Spanish language. Mysteries have always appealed to me as a reader. I think that’s because I’m fascinated by the idea of hidden patterns and motivations lying beneath the familiar surface of life. Offering my services as a mysteries and thrillers specialist is a natural and sensible thing for me to do, not only because I like reading crime fiction, but also because I’ve been writing my own crime story, a tale set in the underworld of Rio De Janeiro, and I’ve studied the craft of writing crime fiction to an advanced level in order to enhance my own writing. When I started writing the novel a few years back, I made the mistake of thinking that because I’d had a work of narrative non-fiction published, I knew how to string scenes together and tell a story. Fortunately, I soon realized how wrong I was, and I subsequently took crime fiction writing classes to learn about things like POV, building tension, characterization, scene setting, dialogue mechanics, and so on. The courses I took gave me a knowledge base that is incredibly useful to me when it comes to editing the work of other authors writing crime fiction in particular and genre fiction in general. LH: I’ve proofread a fair bit of genre fiction, primarily for publishers, and at that stage my clients are really just looking for that final polish – ironing out any final inconsistencies, layout problems and typos. Editing is a whole different ball game – you’re intervening at a much earlier stage and in a more invasive manner. I do want to explore the challenges of doing this kind of work, and how you manage the working relationship with an author who’s put their heart and soul into their novel, but I think that first it would be helpful to understand a bit about the process. So, when you receive a manuscript, how do you go about it? How do you actually structure this kind of work? MT: I like to read the first couple of chapters without editing or commenting in order to bond with the material. I often make a few notes, jotting down characters’ names and so forth, which will help me later on. During a first read, I’m looking at everything – grammar, syntax, punctuation and style, as well as POV, characterization, scene setting, plot coherence, continuity, verb tense use, dialogue mechanics, possible legal issues, and so on. One moment I might be adjusting hyphenation, the next I might be flagging the fact that an author has forgotten to give a physical description of a key character or querying whether he or she has sought permission to use song lyrics. What I love about copy-editing fiction is how many levels you have to think on. As I said, during that first read, I’m looking to fix or flag absolutely anything and everything that is, or could be, an issue. But I like to keep the forward momentum going during the first read, so if there’s an issue that comes up that requires more than a little thought, I’ll usually flag the passage it comes in and return to it later. Often that’s a wise move, because your perspective on a particular issue can change quite radically the deeper you get into a novel. The first read should remove simple distractions – misspellings, say, or awkward or incorrect style choices – allowing me to see even deeper still into what’s going on in the manuscript during a second read. I spend a lot of time working on comments addressed to the author, making sure that I get the tone right, explain an issue clearly and lay out options effectively. I tend to comment a lot; on average, I write between 150 and 250 comments in the margins of each manuscript – using Microsoft Word’s commenting tool, of course, rather than writing by hand on a hard copy. I know from what publishers and authors tell me that I’m considered to be at the very-thorough end of the editing spectrum, but in my mind I’m actually trying to intervene and comment as little as possible. My aim is to support the author, not impose myself on his or her work in any way, shape or form. When I’m satisfied that I’ve finished going through a novel, I spend a good amount of time reviewing the edits I’ve made, checking that they are correct and consistent, and making any necessary adjustments. I check through all my comments, too, and finish off my editorial letter to the author, which I begin composing during the second pass, and which can run to 2,500 words in length. I like to sit on a manuscript for a couple of days before returning it and the letter, just in case something else occurs to me. LH: You were a journalist in another life, and you’re a published author. This means you edit and you’ve been edited. Is the fact that you’ve been on the other side of the fence, so to speak, a benefit to your editing practice? I feel like I already know the answer to that question, but I’d like to hear your thoughts on it anyway. Is the fact that you’re a writer yourself something you take the time to explain to your clients at the outset? And on the flip side, do you sometimes feel that being an author yourself gets in the way? In other words, can you wear both hats at once or do you feel the need to separate the two at times? MT: Right, I was a journalist for many years. I started off in journalism working for music magazines in the early 1990s – publications such as Record Mirror, Kerrang! briefly, Melody Maker and Vox. I also worked for Time Out and Empire, as well as The Big Issue and Loaded at the beginning of their lives. I subsequently worked for some of the nationals, most notably The Times and a section of The Mail on Sunday that belied the Guardian reader’s stereotypical image of what a publication from the Daily Mail camp is like – in fact, a lot of the journalists I worked alongside there went on to work for The Guardian and The Observer. I freelanced in contract publishing, too, for many years. During all that time, I was always both a writer and an editor. I know what it’s like to be edited well, and I know what it’s like to have what feels like a team of boisterous hippos trample all over my copy. You have to be pretty thick skinned to survive in journalism, though, and there’s not a lot of hand holding. I found that I had to make an adjustment and be a little more delicate and diplomatic when I first started editing fiction than would perhaps be considered necessary in journalism. I don’t go out of my way to mention that I’m a writer to authors, no, but then I don’t hide the fact either, and it’s there in black and white on my website. If I did make a point of mentioning that I’m a writer, that could be a turn-off for authors. They might think I’m going to try to write their book for them, which is one of the worst sins you can commit as an editor. I do stress that I can give feedback on the sort of storytelling elements I’ve already mentioned, though, which does stem from my being a fellow author who’s studied the craft of fiction writing. I never feel like being an author gets in the way – much the opposite. It helps me develop a strong connection with authors and their work. I really, genuinely want to help other writers. To use a terrible cliché, I want to make their book the best it can be. I identify strongly with novelists. I’ve faced the same creative challenges as they have; I’ve faced the same practical ones of trying to find, or buy, the time to write while working a day job. I’ve gone through the difficult process of trying to get an agent, then the even tougher one of trying to get a publisher. I’ve had my fair share of rejection letters and emails. From personal experience, I know how hard trying to make it as an author can be. If I can help other writers by offering them good editing, then that makes me feel good. LH: Getting the author–editor relationship right has got to be crucial, has it not? MT: Yes, it really is. The first thing I do is try to establish a rapport with the author and his or her work. I send out a questionnaire that seeks to find out everything from which other writers out there the author identifies with in terms of style, to how he or she feels about serial commas. The key is to get as good an understanding as possible of what an author is trying to do in his or her work, and to get across right at the beginning that I’m here to help him or her do that. I think it’s very important to set the right tone right at the outset of a book edit in margin comments. On the initial pages, you’re trying to make it clear to the author that he or she is in good hands, you’re not here to mess with his or her style and vision but to enhance the novel, and you’re also trying to establish clearly the principles and reasoning behind certain alterations you’re making so that you can save yourself the trouble of repeating yourself again and again throughout the manuscript. That’s also why it’s a good idea to write a thorough editorial letter. Much of the time I lay out options, since a lot of fiction editing involves making subjective decisions rather than the more objective types of calls you make as a proofreader, say. For example, a comment might begin “You may want to consider . . .” Diplomacy and tact are key. If I spot a dangling participle and a rewrite is in order, I don’t write – and I’m going to exaggerate here – “Honestly, what kind of idiot are you? Do you realize you’ve written a dangler?” but instead something like “There’s a dangler here at the beginning of this sentence . . .”, then quickly move on to laying out a couple of rewrite options, which should prove helpful to the author. You’re there to give constructive help and support. LH: Is editing genre fiction different from editing other types of writing? MT: Obviously there is a lot of crossover with editing other types of writing – there is the same confusion between “it’s” and “its”, or between defining and non-defining relative clauses, say, that you’ll see in all other types of writing. A big difference, though, is that you need to also analyse the storytelling elements I mentioned earlier – POV, scene setting, characterization, etc. Some people would call this big-picture editing, or developmental editing, and not see it as part of the copy editor’s job, but I’ve always offered that kind of feedback and analysis as part of my service, partly because that has been what publishers have asked me to do, and partly because I really do think it is part of the job. If a writer has slipped into omniscient mode while telling a story, but up to that point he or she has been keeping POV discipline and telling the story from the viewpoint of a single character, for example, to my mind that’s just as much a slip as a mistake in grammar or syntax, and it needs to be flagged. There are also style and even punctuation conventions in genre fiction that make it different from other forms of writing. To take an example, in academic writing an ellipsis (…) is used to show the omission of words from a quoted passage, but in genre fiction an ellipsis can be used to indicate that a speaker has paused or trailed off in dialogue, or in narration as a tension-building device – which is something that the crime writer Mark Billingham does, for example. A sentence will begin like this one and be about to reveal some crucial information, and it will . . . have an ellipsis like that one just before the revelation. It’s a little bit like the pause in Who Wants to Be a Millionaire? when a contestant has given his or her final answer, and Chris Tarrant draws out the tension by pausing before revealing whether the answer is correct while that bass-drum music rumbles away in the background. Perhaps, in fact, I should refer to that kind of ellipsis as a Tarrant from now on. Some people might consider it a melodramatic device, but there it is. LH: Newbies reading this will be curious to know how you go about getting work, Marcus. Running your own editorial business in a crowded market can be a tough gig – so how do find your clients or how do they find you? MT: I work quite a lot for CreateSpace’s Thomas & Mercer, 47North, Montlake Romance and AmazonCrossing imprints, which are based in the States. They represent a different side of Amazon’s publishing business from the self-publishing side that everyone’s familiar with. I got work with CreateSpace by taking and passing their editing test. Working for them set me on a trajectory of editing fiction written by US authors, and most of my clients are American. I’m a member of an American organization called the Editorial Freelancers Association, and clients find me through a listing I have on its website. I recently started blogging, and a few authors have found me through my website and blog, too. I don’t really go out to actively find clients, to be honest. Maybe I’m a bit naïve, but my attitude is that if I do good work, people will hear about me and find me, so I focus most of my energies on doing a good job, and I let marketing take care of itself, really. One thing I would say, though, is that in my opinion it’s important to have a specialism, as I have. I think it’s better to come across to authors as a specialist in a particular field than it is to sell yourself as a generalist. I don’t worry about losing opportunities by being a specialist, either. The fact is I do get to work on novels other than crime novels anyway. LH: One of the best things about editorial freelance work is that you can live where you want. Given you live on the Maltese island of Gozo and do a lot of work for the US market, is the fact that you don’t live in the States ever a disadvantage, or doesn’t it matter? MT: Yes, I can live where I want in theory. Great, isn’t it? Thank you, Sir Tim Berners-Lee. If I became complacent and started to believe the Brits and Americans use the same language, I would create a problem for myself. Obviously we do share a language, but there are a lot of differences, as we all know. I’m very conscious of the fact that I’m effectively working in another language, though it’s one I’ve been exposed to from a young age through American TV, films and music, and so on. I’ve had to make some adjustments. I write my editorial letters and comments using American punctuation and spelling rules, and I have to use American grammar and punctuation terms when I communicate with authors. There are many good resources, both online and on my bookshelf, in which I can usually find clarification of specific points that relate to US English and crop up during editing. If I do get stuck – and it doesn’t really happen very often, truth be told – there are always people I know in the States I can run a colloquial expression by to check a preposition used is correct, say. I’ve never really thought about this before, but since the US is such a vast place, maybe a New York-based copy editor has to do the same thing if he or she is working on a manuscript that uses a dialect spoken in the Midwest, for example. Obviously, as a copy editor you amass a big pile of language knowledge, but I think that one of the keys to editing, to paraphrase Donald Rumsfeld, is knowing what you don’t know – and to look up whatever that is. Which I don’t think Rumsfeld went on to say. LH: We’ve primarily talked about your editing; now I’d like to focus on your writing. You post some fabulous articles on your website that are of interest to writers and editors alike. Tell us a bit more about the motivation behind that. And what kinds of things will you be posting about in the future? MT: That’s very kind of you to say. The blog series I write, Be Your Own Copy Editor, aims to help authors, but of course I’m very flattered that fellow editors are reading it, too. Its strapline is “Self-editing advice from the front line of fiction editing”, and that’s the key to the blog for me. It developed because in my work I kept seeing – and still do, of course – the same issues crop up again and again in authors’ manuscripts. I realized that some of these subjects weren't really dealt with properly by grammar books, style manuals and books on writing fiction. There are a lot of resources out there that talk about things such as subject–verb agreement, say, or the difference in meaning between “compliment” and “complement”, but there isn't much guidance about things like when and how to style inner monologue using italics, which I've covered in a blog, or identifying a three-verb compound predicate and punctuating it correctly, another subject I've covered, since compound predicates with three or more verbs are common in genre fiction. I intend to keep posting about issues that are specific to genre fiction but don’t get much coverage, if any, and subjects that are covered elsewhere but which I think need to be both looked at in more depth than they often are and viewed specifically from the perspective of genre fiction. By the way, the series may be called Be Your Own Copy Editor, but I’m not suggesting authors should bypass having their work copy-edited by a professional. My thinking is that the better the shape they get their manuscript in before submitting it to an editor, the more control they have over the final version, and the fewer things there are that can potentially go wrong. I think that’s good for both editors and authors. LH: You also had a non-fiction book published by Ebury Press, The Last Wrestlers, which received some great reviews, and you said you’re writing a crime novel. The two sound a million miles apart! So how did the former come about, and where are you with the latter? MT: They do sound far apart, however a couple of reviewers of my wrestling book were very perceptive in that they described it as being like a crime novel, which I think is true. Like a detective, I was running around the globe – I visited India, Mongolia, Nigeria, Brazil and Australia to do research – trying to discover who had murdered real wrestling and why. ​The Last Wrestlers grew out of an obsession with wrestling I had during my twenties – with doing it rather than watching it, I should add. I wanted to get to the bottom of why it meant so much to me, and also why it had declined in Britain. I thought, “Hang on. Wrestling is great. It’s a sport with real soul, dignity and history, yet it’s a laughing stock in Britain, where it’s associated with those guys prancing around in spandex on TV. What went wrong?” I spent over two years in the field, as it were, trying to answer that question and other questions. My crime novel is set in the underworld of Rio De Janeiro, a city where I lived for a couple of years, but actually the story sprang partly out of an interview I did with a gunda, the Indian equivalent of a mafia don, while researching my wrestling book in Varanasi. Meeting him affected me a lot. He was young, high caste, physically slight and wore glasses, yet he had personally murdered about eight people, and he controlled elections, politicians and banks in parts of Uttar Pradesh and Bihar. In a key opening scene in my crime novel, I transpose certain elements of the meeting to a favela in Rio, and the crime king in my novel is the boss of a fictional drug-dealing crew with similarities to Red Command, which runs a lot of shanty towns in Rio. LH: What was the experience of being published like? Again, we’re back to the point about editing versus being edited – that sense, perhaps, of handing over control to someone else. Did you find the process a comfortable one? Do you hope to go down the publisher route with the crime novel or would you consider, or even prefer, self-publishing? MT: I put my heart and soul into my wrestling book, and the research journey I went on nearly killed me – I mean that in the literal sense. I came back from Nigeria with a very serious tropical disease that the best doctors and professors of tropical medicine in the UK couldn’t diagnose and consequently couldn’t treat properly. Fortunately, I recovered spontaneously. But anyway, the point is that my book was incredibly important to me and told a very personal story, and in some ways I paid a high price to research and write it. So yes, it is difficult to hand over a project like that to someone else. But I was very fortunate in that I had input on the developmental editing level from John Saddler, a brilliant agent who was a creative mentor to me, too, and Hannah MacDonald, then at Ebury Press, who was very perceptive and who I felt really understood where I was coming from as an author. She’s a novelist, too, which of course must help her engage with authors. There were one or two anxious moments, such as when I was told readers were unlikely to be able to stomach a book of over 80,000 words in length from a first-time author, and I’d written over 120,000, I think it was – but I felt like I was in really good hands. And in the event the word count wasn't cut dramatically. I was fortunate enough to be published very well indeed. Since I lived in Brazil at the time, Random House kindly let me stay at the Random House flat in central London for a few days at the time of the book launch. I was given a PR handler, who took me around various radio studios, where I gave interviews. My book was reviewed in the Telegraph, The Sunday Times, twice by The Times, the Literary Review, The Independent, Arena, and a number of other publications. I did Excess Baggage on Radio 4. The book didn’t then go on to sell in the tens of thousands, though it had respectable sales. In hindsight, I think the title may have been a barrier to finding a readership for the book. Essentially, the book is about being a man in the modern world and it speaks about the topic by talking about my obsession with wrestling; it isn’t a book simply about wrestling. But if you look at the book’s cover and read its title, you probably won’t come away with that impression. I have to say I get a little irritated when authors who identify heavily with the self-publishing and indie publishing boom talk about agents and editors at traditional publishing houses as though they are evil incarnate. I know I had a particularly good experience when my book was published, and not everyone is as fortunate as I was, but a lot of nonsense is talked about the traditional route in publishing. A lot of the people who work in publishing or work as agents are doing it because they genuinely love books, and they love breaking new authors. With my own crime novel, I will try to get an agent for it and then a publisher. I came very close to getting represented by a big agency in London when I submitted it to them about 18 months ago – but a miss is as good as a mile, as they say. My first thought – actually, that’s a lie; it was probably my third thought, and the first two thoughts are unprintable – was that the manuscript just wasn’t good enough to get published, and I needed to work on it further. I hope to produce another draft this year, and if the manuscript gets rejected again, no, I won’t self-publish. I’ll take it as another sign that the novel isn’t good enough and try to improve it. However, I am thinking of revising my wrestling book and producing print-on-demand and eBook versions for sale in the States, partly because I know the book will have some appeal there, and partly because I’d like to go through the process of putting out an eBook and print-on-demand book, because that will help me understand the publishing processes involved, which will in turn help me when I work with authors who are self-publishing using print-on-demand and eBook services. LH: Marcus, thank you so much. 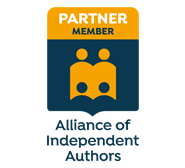 The editorial knowledge you've shared is gold dust, both for new entrants to the field and for more experienced editors considering expanding their focus into genre fiction. I've also found the description of your journey as a writer fascinating, particularly given the changes in the publishing market taking place, but also in terms of how you use your experience to enhance the editorial service you provide. And as a keen reader of crime fiction, I'm looking forward to your book! MT: You're very welcome, Louise. It's been great chatting to you. Visit Marcus Trower's blog: Be Your Own Copy Editor. And if you fancy picking up a copy of his book (I'm off to buy a copy now! ), it's available on Amazon: The Last Wrestlers. Other posts in the series cover proofreading for trade publishers (Part I; Louise Harnby), editing fiction for independent authors (Part II; Ben Corrigan), and editing adult material (Part III; Louise Bolotin). A note from Louise: In October 2012, I attended an indexing workshop for proofreaders, run by the UK's Society of Indexers. Ann Hudson, a fellow of the SI, was our trainer and she did a wonderful job of sharing her extensive experience and illuminating the world of the indexer. Do you enjoy reading? Do you have a logical mind, and take pleasure in creating order out of chaos? Can you encapsulate a complicated concept in a succinct phrase? If so, you may be suited to indexing. Many indexers also do proofreading and/or copy-editing, and some of the requirements overlap, such as good language skills, methodical working habits, meticulous attention to detail and a good eye for spotting errors. Computer skills are also vital: most indexers use dedicated indexing software which deals with the more mechanical aspects, leaving the indexer to do the brainwork. And as electronic formats develop indexers will be required to create linked indexes for ebooks and websites using html and xml tagging, or embedded indexing systems. Indexers are often asked whether search engines have not made their work redundant, but this is far from true. A search engine will find mentions of the exact words that you type into it, but will not find alternative spellings or synonyms. Effective indexing is not just a question of extracting words from a text and putting them in alphabetical order. The skill is in devising entries which describe a whole section of text, bringing together references to the same concept which may be described in different words, and in making connections within the index, by means of cross-references and double entries, so that readers will be led to all the references they need. The ability to organise material clearly, so that readers can easily find their way around, is also essential. Indexers rarely receive praise, because when an index works well it is taken for granted – though people are quick to complain about an inadequate index! In order to index effectively it is essential to understand what you are reading, and to know what sort of information will be useful and relevant to the likely readership. All indexers should be capable of indexing popular texts aimed at the general reader, but more specialised and academic books demand detailed knowledge. Many indexers offer specialisms, often in subjects studied to degree level or beyond; in particular, medical and legal books require detailed subject knowledge and skills. There are also indexers who specialise in cookery books, children’s books, technical manuals, and many other fields. Indexing is usually a second (or third or fourth) career, and many indexers started out as librarians. Others come from careers in publishing, academia, IT, education and many other areas. The first port of call for anyone interested in indexing in the UK is the Society of Indexers (SI). Other indexing societies include the American Society for Indexing, the Australian and New Zealand Society of Indexers, and the Indexing Society of Canada. Details of other indexing societies worldwide can be found through the SI website. SI runs a distance learning course which provides a thorough training in the fundamental principles of indexing; it is web-based, with detailed study materials to download, practice exercises and resources online, four formal tests, three online tutorials, and a practical indexing assignment. Successful students become Accredited Members of the Society of Indexers, and are entitled to an entry in the SI’s online directory of ‘Indexers Available’, widely used by publishers. After two years’ experience Accredited Members can apply to become Advanced Professional Members of SI. SI works hard to support professional indexers in many ways: providing a full programme of conferences, workshops and other CPD activities for indexers; raising the profile of professional indexers in the publishing world; and recommending minimum rates for indexing work. The recommendations for 2013 are £22.40 per hour, or £2.50 per page, or £6.75 per 1000 words. These rates are applicable to straightforward texts; experienced indexers working on specialised and complex projects can command higher rates. Inevitably work is becoming harder to find while the UK is in recession, but well-established indexers are continuing to get regular work, and a good proportion of the 15–20 newly Accredited indexers each year are managing to establish themselves, though it may take several years to acquire enough regular clients to give up the ‘day job’. As with any freelance work, you need good business and communication skills, flexibility and a lot of persistence to get a career off the ground. The work is mentally demanding and you must be willing to work long hours to meet urgent deadlines, especially when you are building up your business. It can be lonely work, and to some it would be pure drudgery. But there is plenty of support available from other indexers; SI members are a friendly bunch, with a lively email discussion list, annual conferences, and local groups in many parts of the UK which meet regularly for indexing-related talks and discussions and social activities. For me and many others indexing is a dream job, the culmination of all our previous working experiences, and the ideal way to earn a living – ‘being paid to read books’!